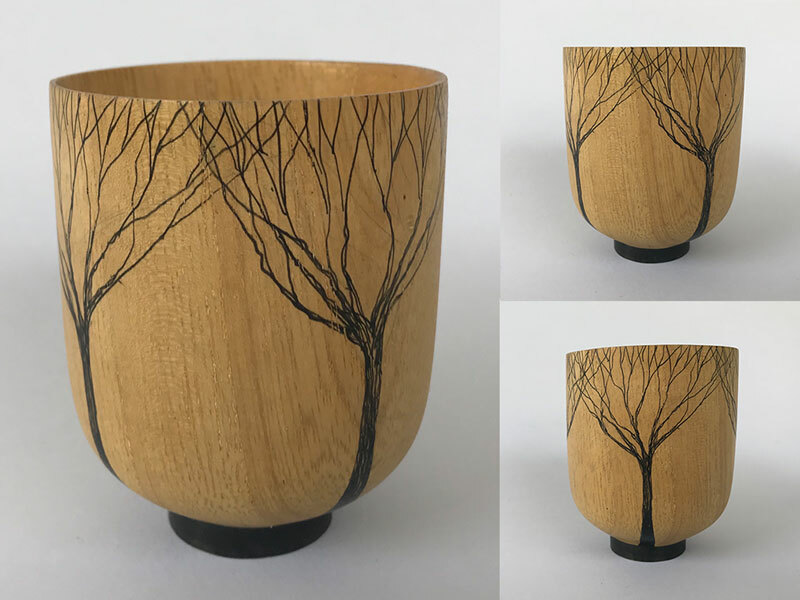 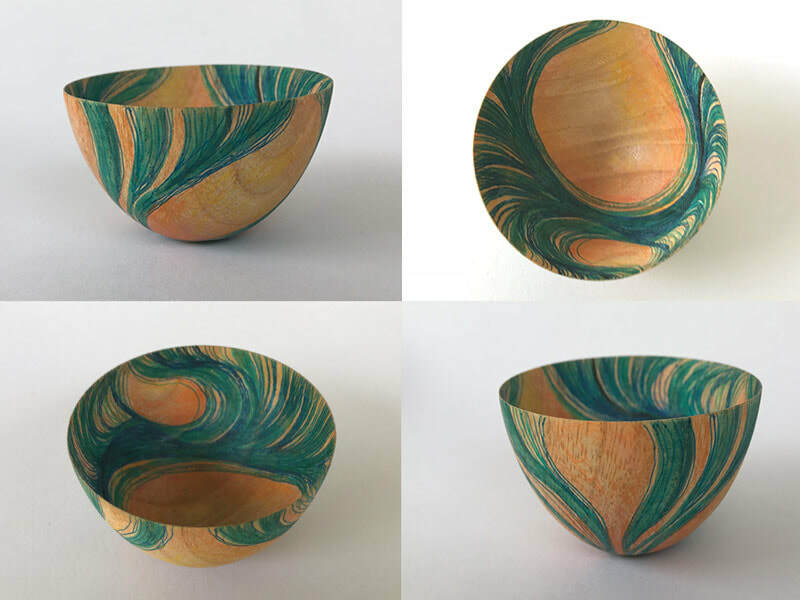 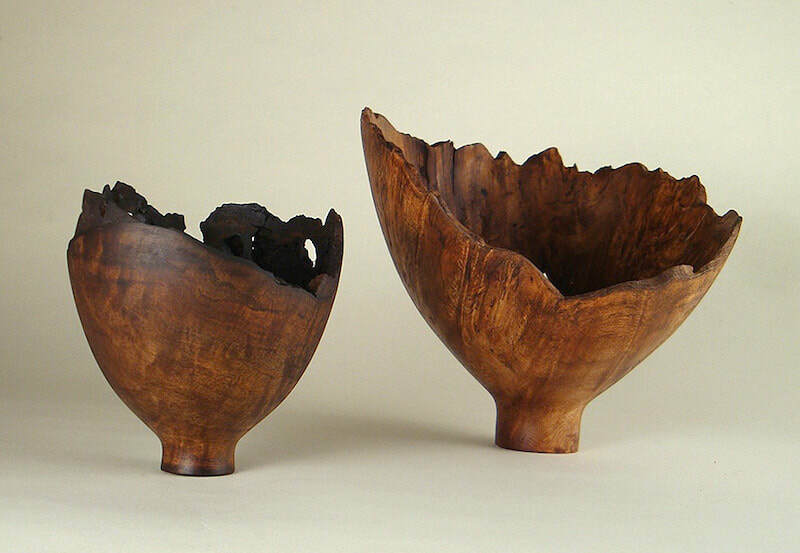 These turned wood pieces are small and delicate. 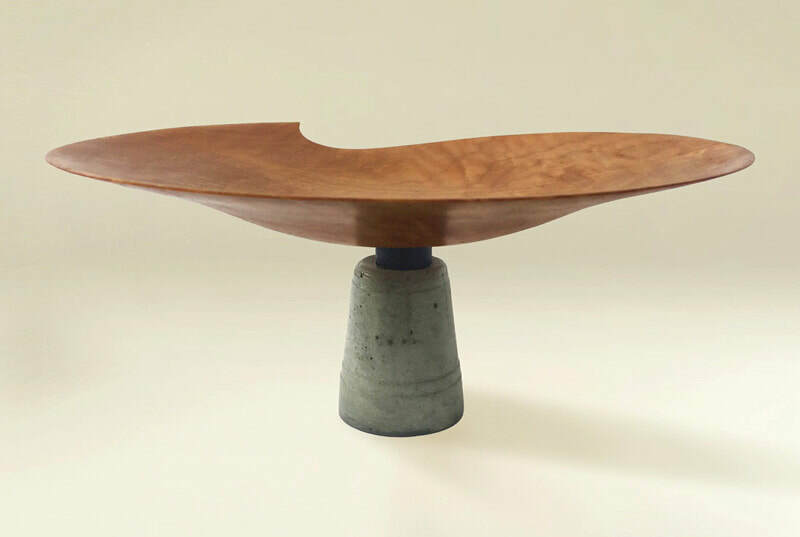 Some incorporate specially created cast and colored concrete bases, some are constructed using contrasting woods. 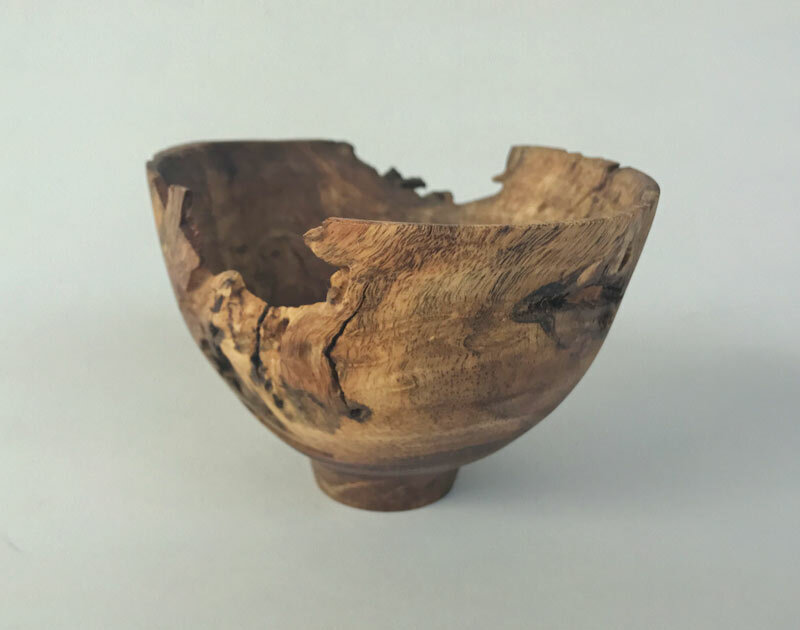 The materials’ hues, texture and grain combine in different ways depending on the characteristics revealed as the wood is turned and as layers are cut away. 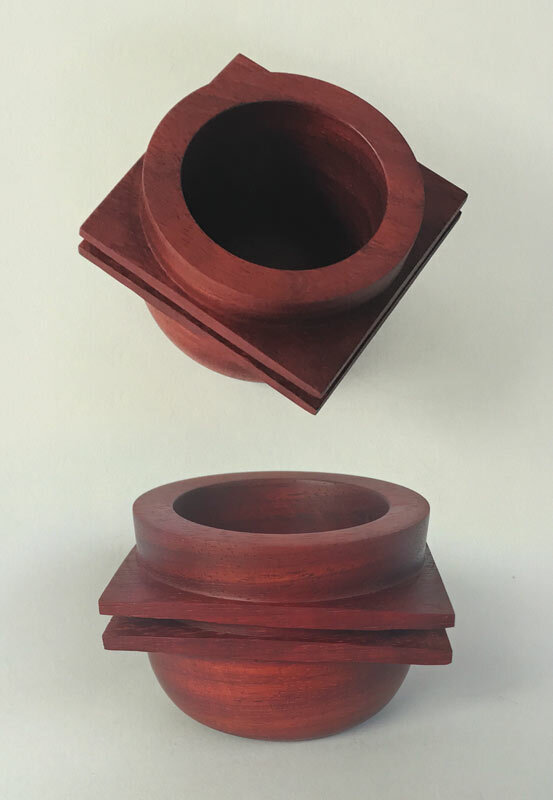 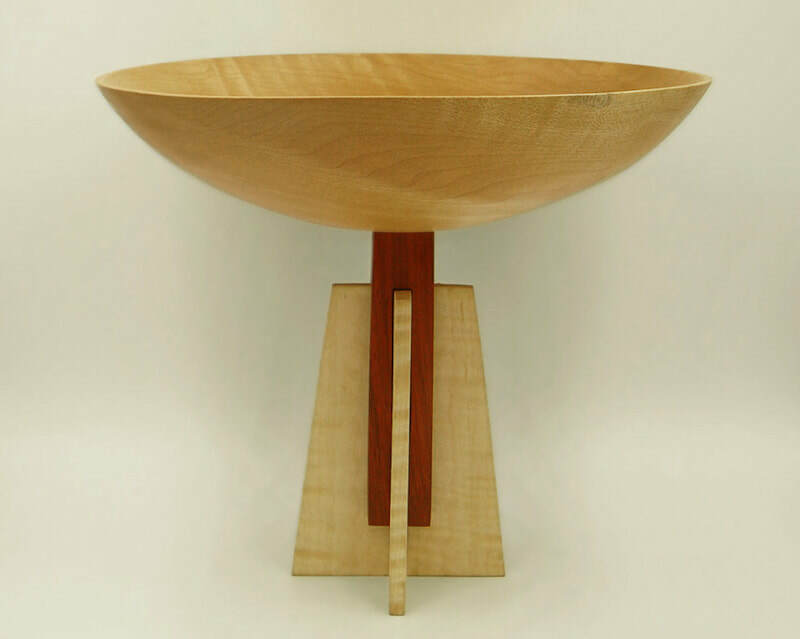 The size and shape of the finished piece determines the design of the base and the final assembly of materials that create the unique form of each piece. 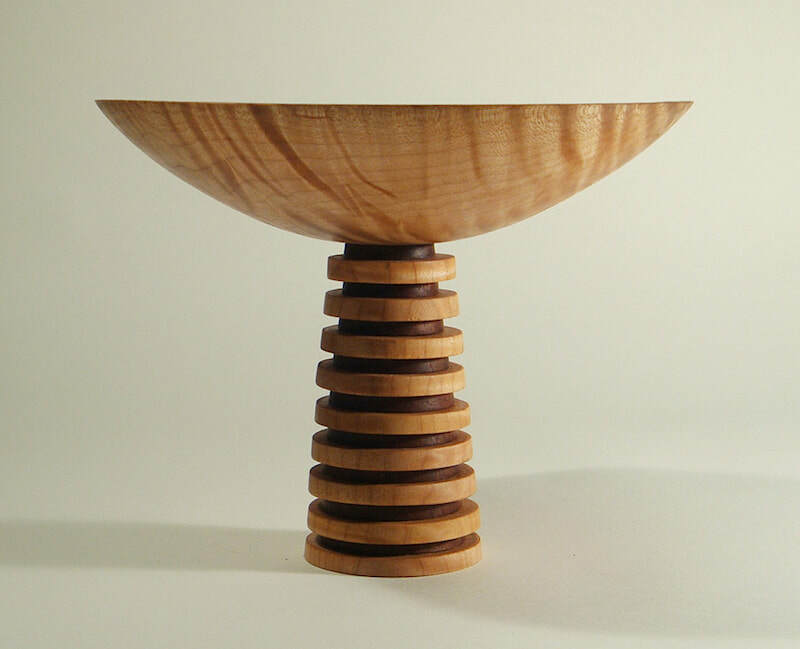 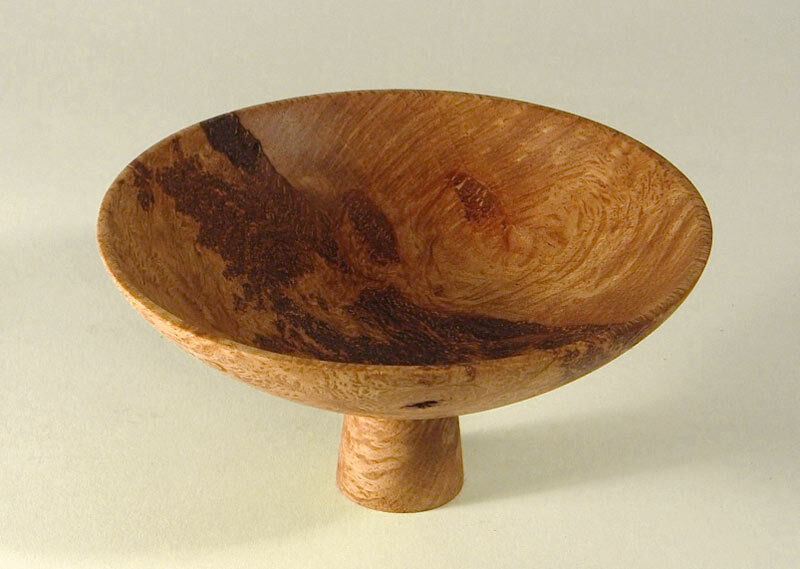 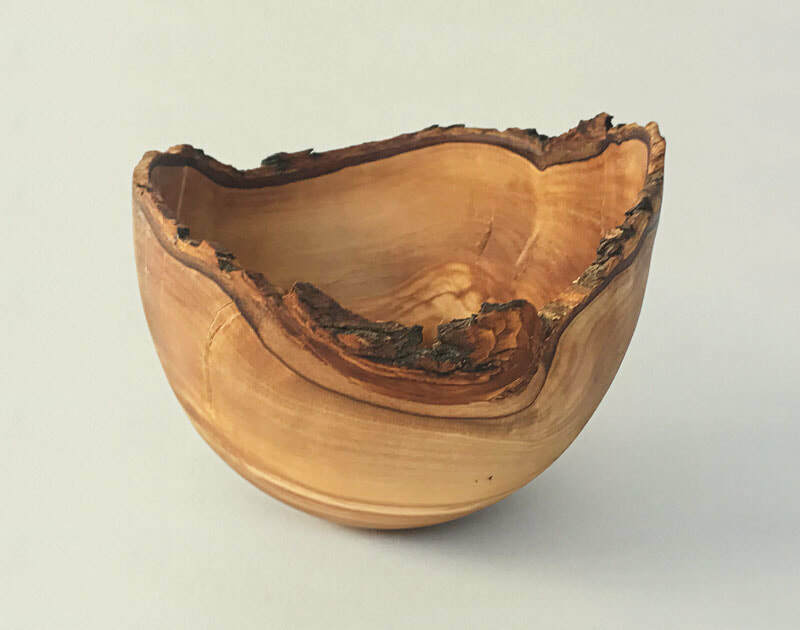 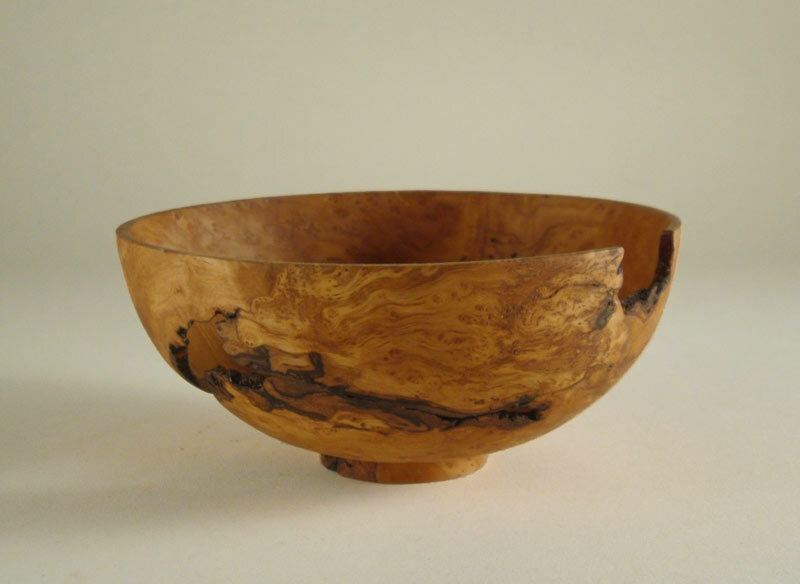 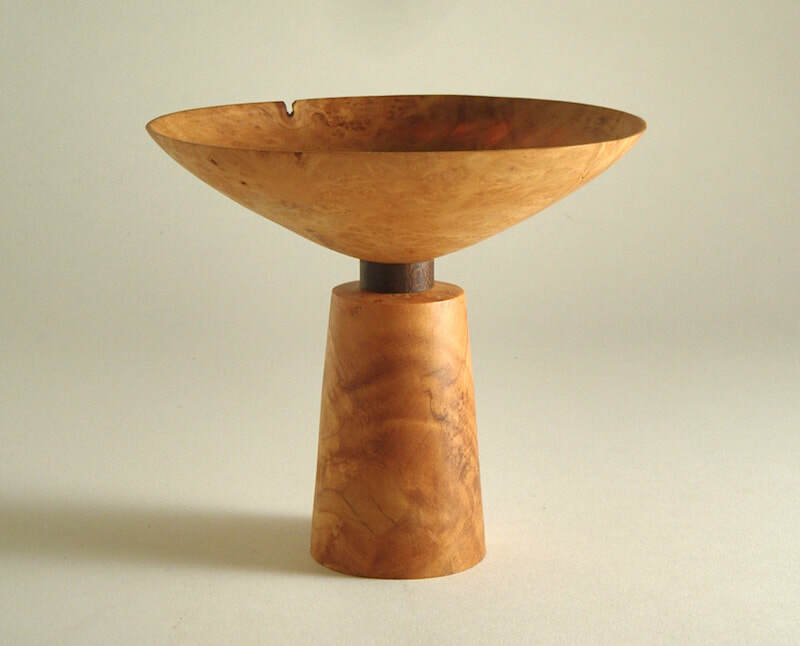 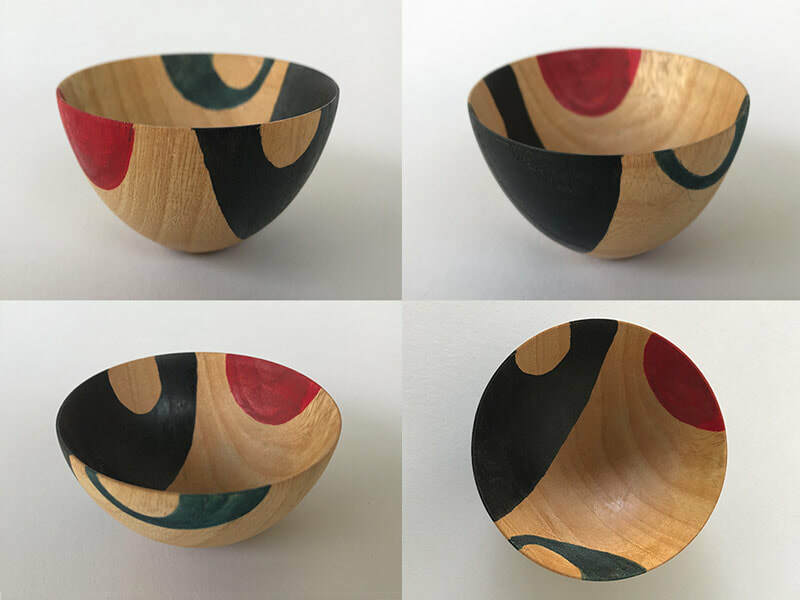 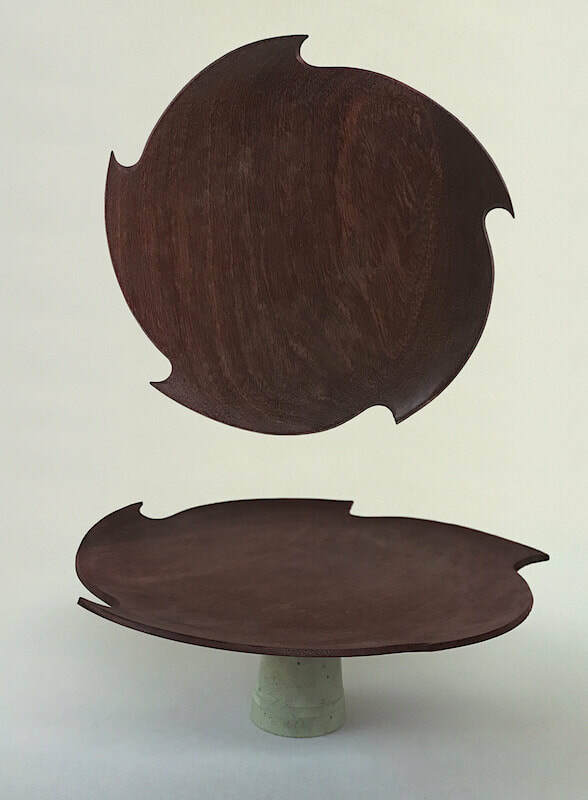 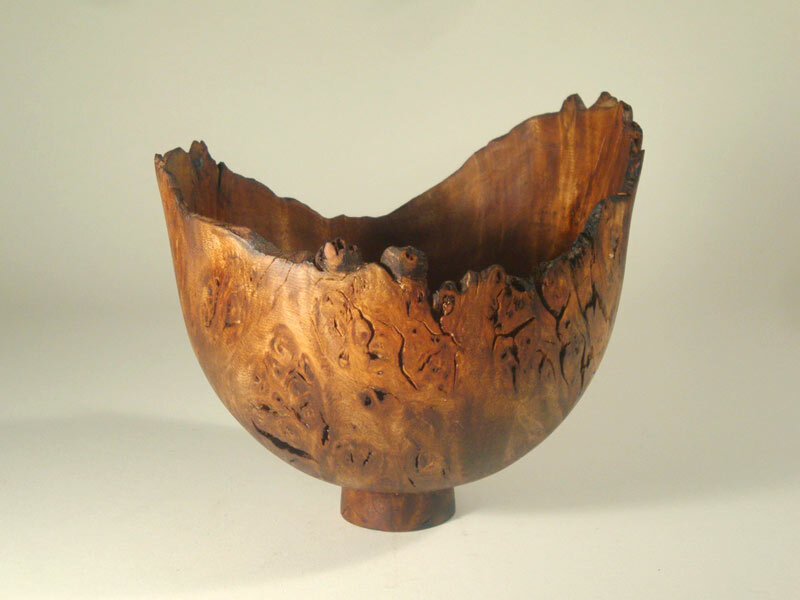 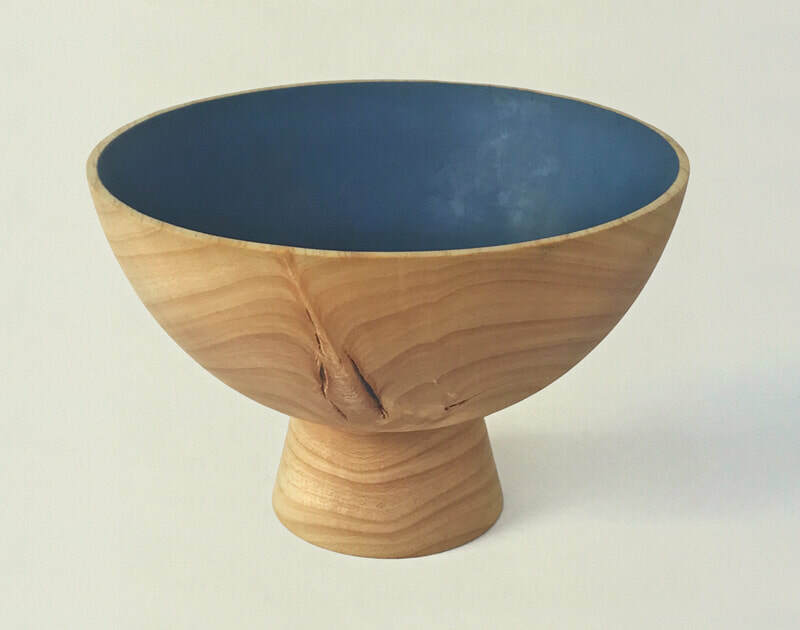 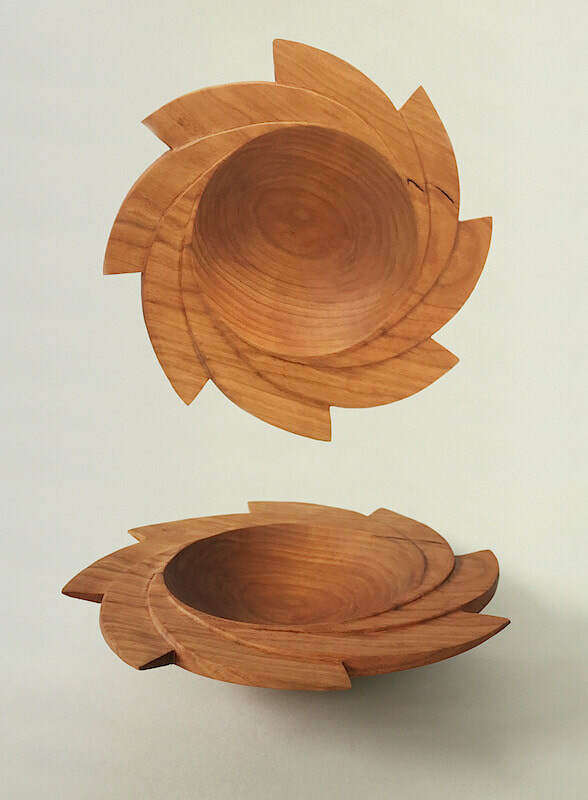 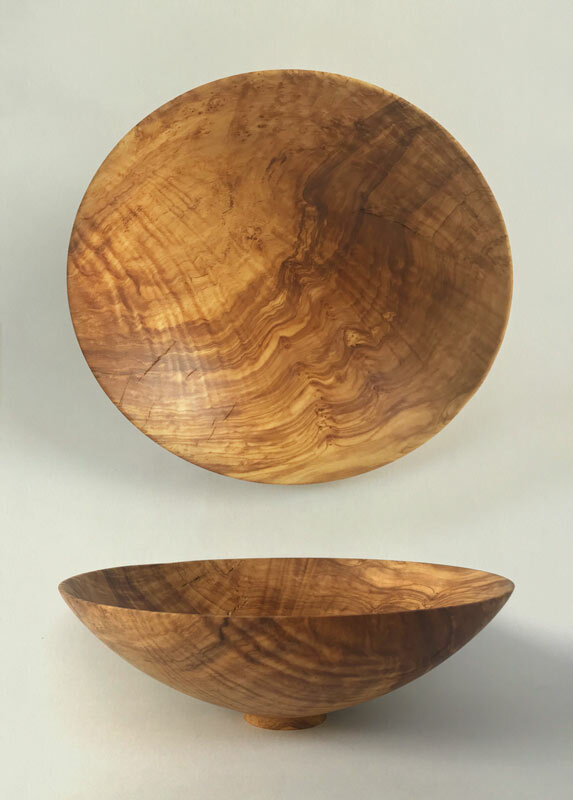 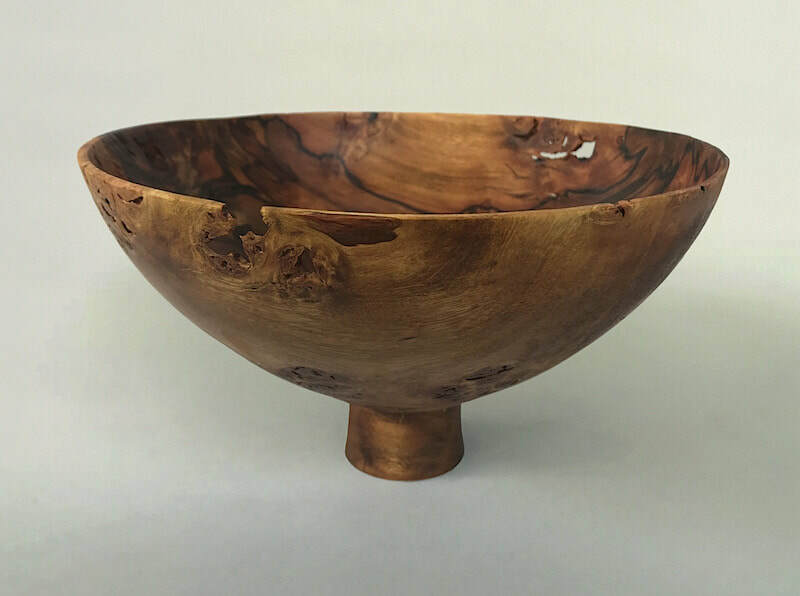 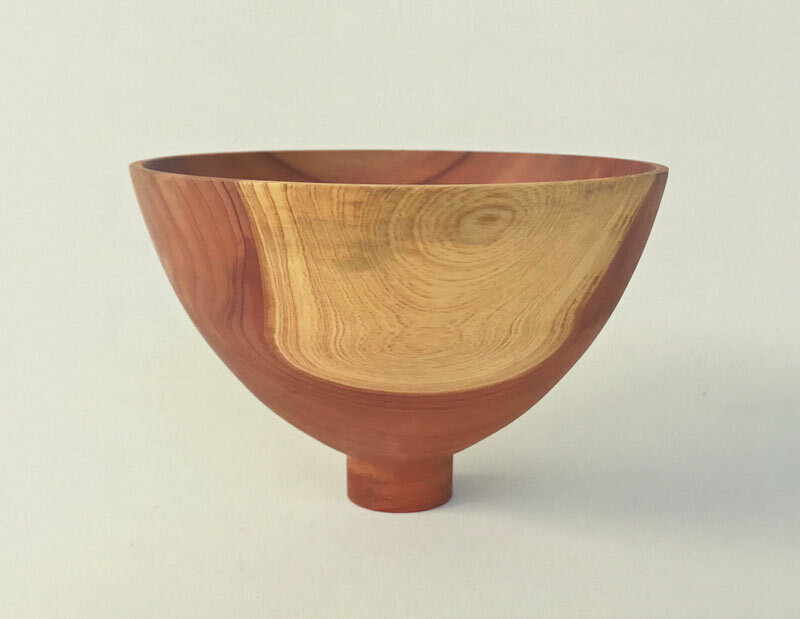 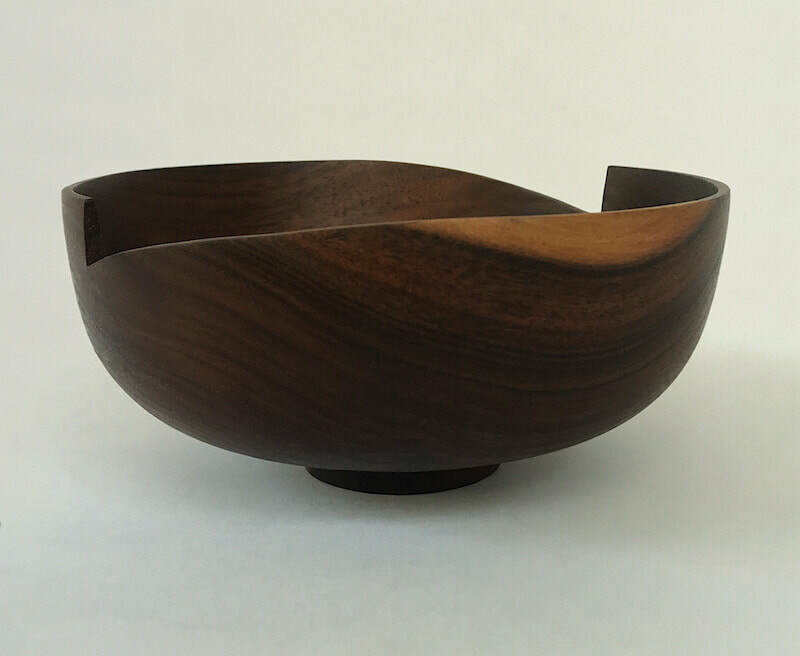 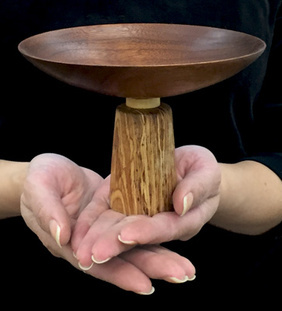 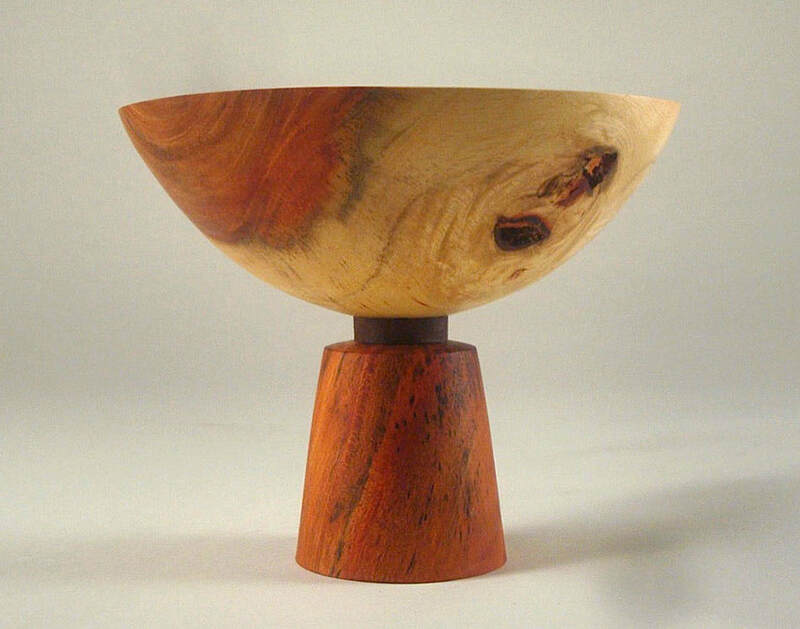 Olive wood bowl • 10" x 3 1/2"